On some of the original racing GT40s the brake and clutch reservoirs are located just in front of the windshield underneath an access panel. If any of you original owners have such a configuration I would greatly appreciate some pictures of the reservoirs and how they are mounted. 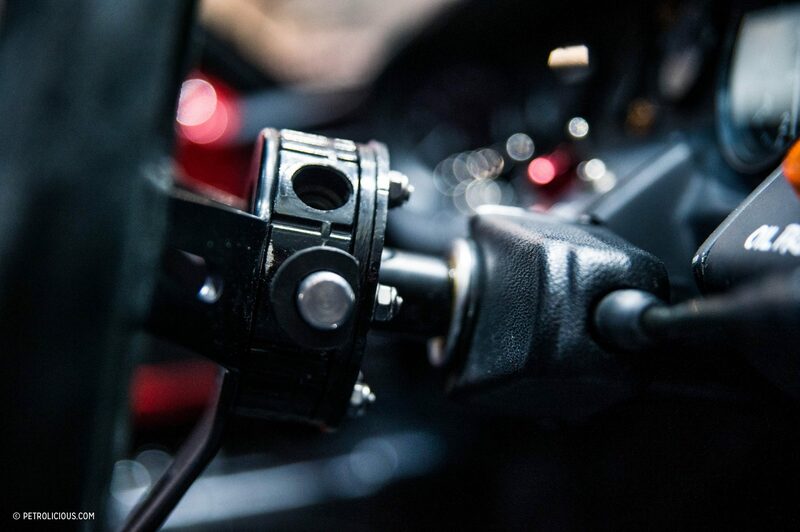 I'm curious how they prevented water from entering the cockpit since the reservoirs are basically located above the pedals? Do the reservoirs sit in there own compartment? EW....look what mean old Mr. Rust is doing to that cowl scuttle! The two reservoir caps had a cover over them. Probably not used too much for racing however as they might be deemed a bit fiddly to play with during a stop. Thank you Brian and JimmyMac! Your pictures are very helpful. I saw a photo that was apparently from Allan Mann Racing - the reservoirs were mounted on the opposite side of the curved panel and the top cover didn't have any holes in it. In the articel it says "Although not one of the original lightweights, Chassis #003 is a more recent Alan Mann-made creation that continues the legacy." That age-old question "what was original". The RCR GT40 that I picked up was to be a turn-key of a previous RCR client. I got the car and RCR had already fabricated a few items but not that much had been done and I don't know how long the build had been idle? I know that the previous client wanted the car built to as near to P1015 as possible. The front clip was modified with the access panel cutouts. This weekend the folks at Shelby Collection are going to take pictures for me of the reservoirs mounting and covers on the original P1015. Anyone know what the indicator assembly is on the Allan Mann car?? That is the image that i remember seeing. You can see the all of the other holes have been blanked off. its only the two vent feed holes that go to the round dash vents that are open. This car also appears to be missing the demister feed for the windscreen. That car is a Suoerformance replica if I recall correctly, so wouldn’t the indicator be standard SPF? Elliott was selling the same switch from his SPF a few weeks ago. 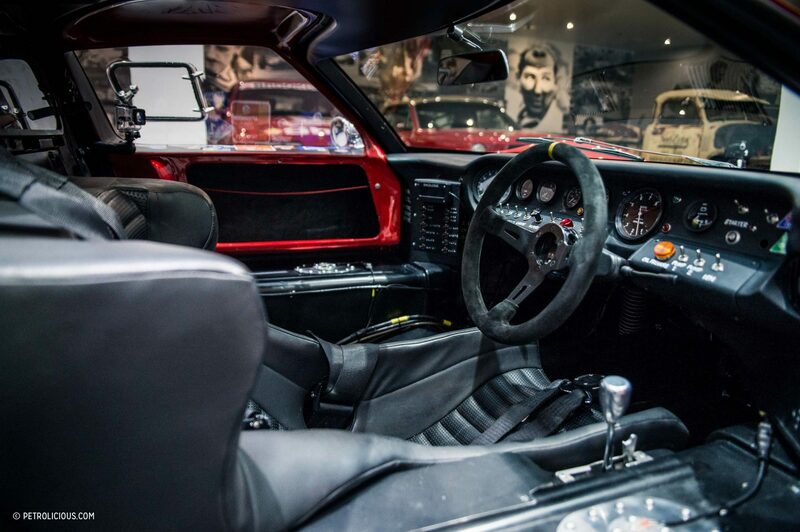 Alan Mann MkIs used the standard Lucas flick switches on the dash for the turn signal and flasher. Have a look at the dash on the Hawkins car which was probably unchanged since he purchased it. The attached picture shows the reservoir caps on the original P1015. Looks to have a top plate that may seal the reservoirs to the weather. Any thoughts on if this plate acts as a seal? Many thanks to the Shelby Collection for taking the time to take this and more pictures. water is going to hit the windscreen and run straight down onto the reservoirs regardless of what that folding hinged plate does. especially if its parked. There are multiple cut outs in the top of the scuttle on the early race cars. There are supposedly some cover plates (in the drawings) for these which could be sealed down, however I feel water would still pool on the scuttle. what did ford do on the MK I and MK III road cars? There was a small cover that fitted over the exposed tops of the reservoirs complete with a cork seal. See the picture in my post number 4.